Ryan Avent is economics columnist at The Economist. He has previously been The Economist’s news editor, economics correspondent, and online economics editor. His work has appeared in publications including the New York Times, the Washington Post, the New Republic, Bloomberg, Reuters, Conde Nast Portfolio, the Atlantic, the Guardian, the American Prospect, the Washington Independent, the Washington Examiner, Streetsblog, Grist, DCist and the Journal of Economic Geography. Previously, he worked as an economic consultant and as an industry analyst for the US Bureau of Labor Statistics, the principal fact finding agency for the US Government in the broad field of labour economics and statistics. He now lives in London with his wife, daughter and son. To work is human. It puts food on the table, meaningfully structures our days, and strengthens our social ties. When work works, it provides the basis for a stable social order. Yet the world of work is changing fast, and in unexpected ways. With rapid advances in information technology, huge swathes of the job market - from cleaners and drivers to journalists and doctors - are being automated, or soon will be: a staggering 47% of American employment is at risk of automation within the next two to three decades. Yet at the same time millions more jobs are being created. What does the future of work hold? 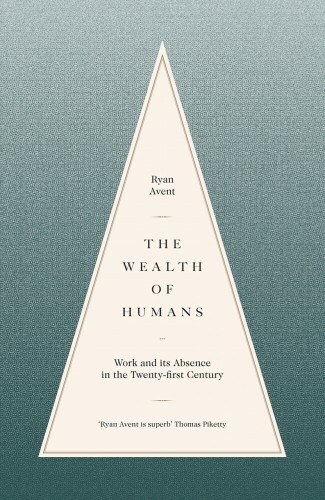 In this illuminating new investigation of what this revolution in work means for us, Ryan Avent lays bare the contradictions in today's global labour market. From Volvo's operations in Sweden to the vast 'Factory Asia' hub in China, via Indian development economists and Silicon Valley venture capitalists, he offers the first clear explanation of the state we're in-and how we could get out of it. With an ever-increasing divide between the rich and the rest, Avent states, something has got to give. The traditional escape routes - improved education, wage subsidies, and new industries built by entrepreneurs-will no longer work as they once did. In order to navigate our way across today's rapidly transforming economic landscape, he argues, we must revisit our previous experiences of massive technological change - and radically reassess the very idea of how, and why, we work.